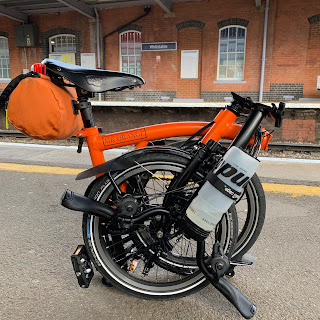 My Orange Brompton: 3000 views! Wow, I can hardly believe it. I have just looked at my SATs and I have had 3000 views of my humble blog. I haven't looked at the SATs for a while and I am very pleased. Thanks for viewing - you know who you are. I haven't forgotten my loyal readers! Early Morning in London on a Brompton.